Optimize the versatility, functionality and quick-handling attributes of your AR-15 with the Strike Eagle 1-8x24. A true 1X on the low end of its 8X zoom range, the Strike Eagle 1-8x24 intrinsically adapts to a wide range of scenarios, letting shooters engage targets from point-blank out to extended ranges. Home defense, competition, recreational shooting, feral hog “removal” and any task between, this scope is up for whatever you want to throw at it. And it does so at a price that will have you feeling like you ripped us off. High quality, fully multi-coated lenses serve up a sharp image, impressive sight picture and optimal low-light performance. 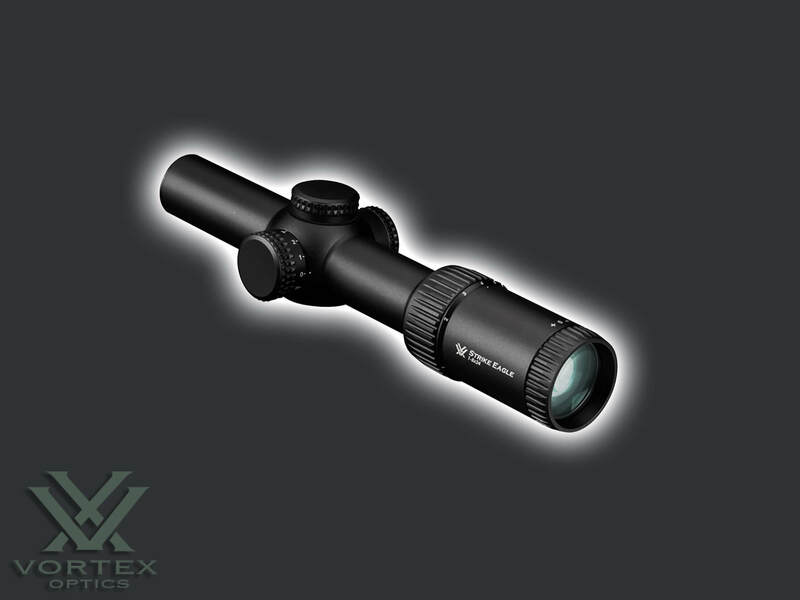 The illuminated, glass-etched BDC reticle subtends with popular 5.56 cartridges. Center target dot with surrounding halo promotes instinctually fast target acquisition and shot execution. 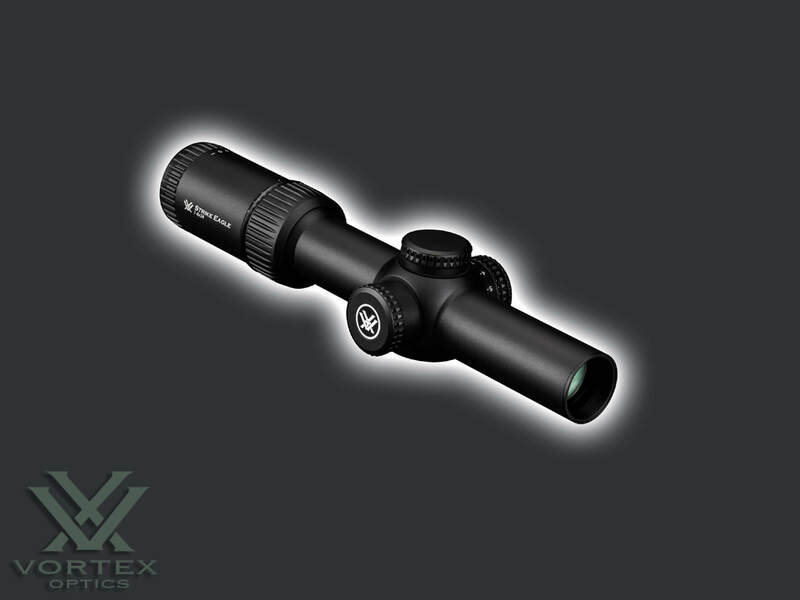 Take the performance of your AR to new heights with the Strike Eagle 1-8x24. AR-BDC The illuminated, glass-etched AR-BDC reticle subtends with popular 5.56 mm cartridges, and the centered halo promotes fast target acquisition.